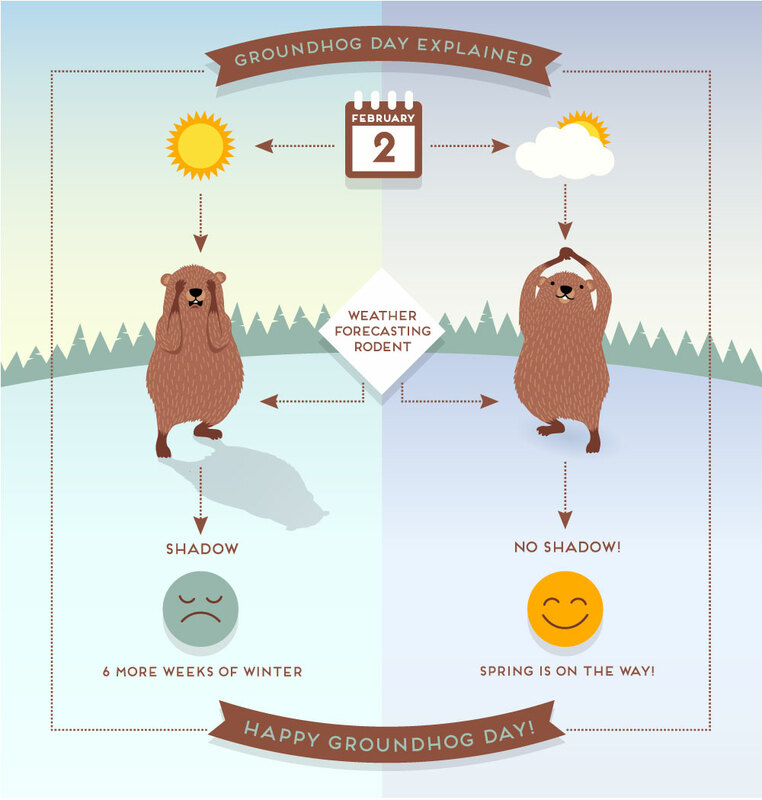 With Groundhog Day just around the corner on February 2nd, many people are anxiously awaiting the famed rodent Phil’s predictions on whether we will endure another six weeks of winter or whether we can we set our sights on an early spring. 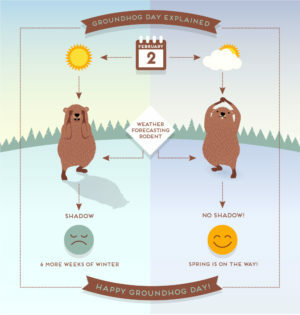 As with any event as unique as a rodent predicting the weather, there are many myths associated with the Groundhog Day tradition as well as the famous Punxsutawney Phil himself. While Phil is probably one of the most well-known and talked about weather predictors, he is not the only one around. Many other communities employ their own weather-predicting groundhog to sit on the throne of their local Groundhog Day events. General Beauregard Lee is the weather predictor for the city of Lilburn, Georgia. Staten Island Chuck takes care of the New York territory, and Lancaster has three of its own, which is probably linked to its rich Pennsylvania Dutch history. 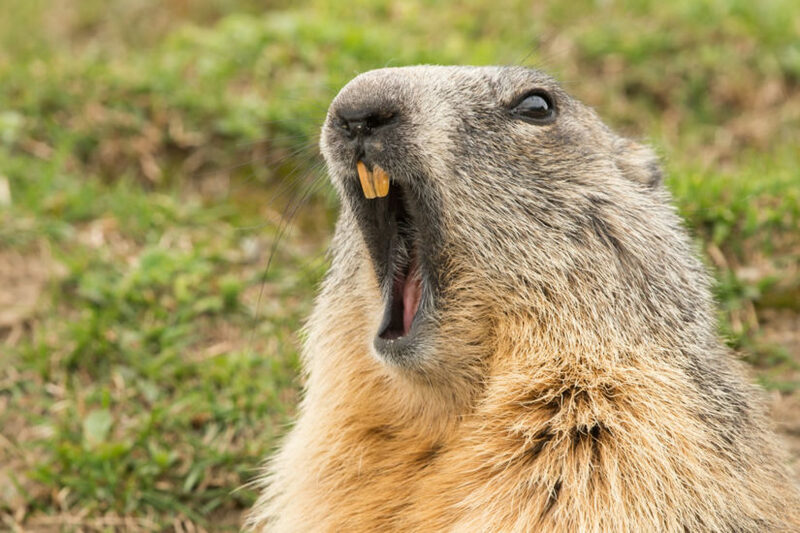 Canada has even started its own Groundhog Day tradition with Shubenacadie Sam in Nova Scotia and Balzac Billy in Alberta. Many event-goers put a lot of faith in the predictions of good old Phil. But unfortunately, it seems he is more often wrong than right. According to studies based on Phil’s predictions, along with the weather patterns that follow, it seems Phil’s predictions receive an accuracy rate of only 39 percent. Regardless, putting the blame for Phil’s inaccuracy solely on him seems to be less than fair, as he relies on his handlers — referred to as the Inner Circle — to convey to the crowd whether he has officially viewed his shadow. Perhaps he is a little more accurate, but it gets lost in interpretation. No matter what the case may be, the festivities and fun surrounding the event make it worth seeing, despite its questionable accuracy. As fun as it may be to believe these magical creatures have been used for centuries to predict the weather for farmers, the truth is that they are more of an American 19th-century tool. Many spring celebration traditions have occurred at the beginning of February, going back to Celtic times. However, a groundhog was not used for these events. Nor were groundhogs used in the Christian tradition of Candlemas, which was celebrated at the same time of year. It was common for German traditions to involve weather prediction through the use of animals and their habits. Although it is believed this tradition was brought over to the United States via the German settlers in the area, it is thought that a hedgehog was the original weather predictor tool for settlers to rely upon. It is believed that after coming to the United States, the hedgehog was switched for a groundhog because of the latter’s higher availability in the area. The idea of little Phil emerging from a winter’s nap to check the weather so as to begin his spring rituals — adorable as it is — is nowhere near accurate. Phil’s burrow is nothing more than a staged area, created to make the event memorable and fun for visitors. Phil’s home actually consists of a mock tree stump, which has been labeled with his name to add to the visual. He will be placed in the burrow and removed by his handlers at dawn on February 2, where his prediction will be interpreted with much fanfare. Additionally, the burrow’s webcam will capture his emergence and prediction, which helps broadcast the event all over the world. While this setup hardly seems natural for any animal living in the wild, it does create an iconic site that is an area attraction for locals and tourists alike. The setup provides for the iconic images that have become synonymous with Groundhog Day, and it makes for great souvenir options for local tourist shops. English may be acceptable in many parts of the country during the Groundhog Day observance. However, at Gobbler’s Knob and other Pennsylvania area celebrations, the traditional Pennsylvania Dutch language is preferred to keep with the tradition’s authenticity. In areas where the Dutch language and culture are still strongly regarded, you may even find yourself paying a small tax for such an indiscretion as uttering English during the ceremony or festivities. But not to worry; inflation seems not to have affected this tax. It will probably only set you back five or 10 cents, which is often collected in a change jar during the event. While there are many myths surrounding the Groundhog Day celebration that have found their way into the American tradition since 1886, they merely add to the superstition and mystique that this unique and festive day brings.